Free Appliance Upgrade with 3 Years of Advanced Gateway Security Suite(AGSS) Purchase! Once a limited-time promotion, the SonicWALL ‘3 & Free’ is now a mainstay offering to loyal SonicWALL customers. It’s an easy, cost-effective way for customers to upgrade to the very latest SonicWALL next-generation firewall appliance for free. Eligible customers may receive a complimentary NGFW appliance by purchasing a bundle that includes a three-year subscription of the SonicWALL Advanced Gateway Security Suite. SonicWALL’s exclusive security subscription service also includes SonicWALL Real-Time Deep Memory Inspection (RTDMI). A patent-pending technology, RTDMI™ enables Capture ATP to detect and block malware that does not exhibit any malicious behavior or hides weaponry via encryption. This protects your organization from zero-day attacks, malicious PDFs and Microsoft Office files, and even chip-based Spectre, Foreshadow and Meltdown exploits. Please note: SPECIAL ORDER - some order shipments may be delayed from warehouse and supplies are limited! This is a SonicWALL replacement promotion. This is NOT for competitive replacements and will be validated by serial number. Upgrades must fit within existing Secure Upgrade Matrix. Some good things should never end. One of the most successful promotions in company history, SonicWALL’s ‘3 & Free’ incentive is now a permanent component of our Customer Loyalty program. When you upgrade your SonicWALL hardware you gain the latest in next-generation firewall (NGFW) technology and access to the SonicWALL Capture Advanced Threat Protection (ATP) service. It’s a cloud-based, multi-engine sandbox that stops both known and unknown cyberattacks from critically impacting your business. 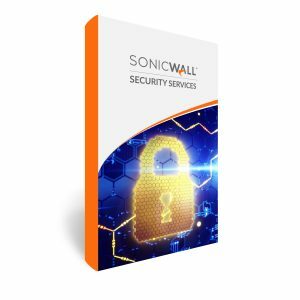 SonicWALL TZ series firewalls provide broad protection with advanced security services consisting of onbox and cloud-based anti-malware, anti- spyware, application control, intrusion prevention system (IPS), and URL filtering. To counter the trend of encrypted attacks, the TZ series has the processing power to inspect encrypted SSL/TLS connections against the latest threats. Combined with Dell X-Series switches, selected TZ series firewalls can directly manage the security of these additional ports. Available on SonicWALL TZ, Network Security Appliance (NSA), and SuperMassive firewalls, SonicWALL AGSS keeps your network safe from zero-day attacks, viruses, intrusions, botnets, spyware, Trojans, worms and other malicious attacks. Examine suspicious files at the gateway in a cloud-based multi-layered sandbox for inspection to keep your network safe from unknown threats. As soon as new threats are identified and often before software vendors can patch their software, SonicWALL firewalls and Cloud AV database are automatically updated with signatures that protect against these threats. Inside every SonicWALL firewall is a patented Reassembly-Free Deep Packet Inspection® engine that scans traffic against multiple application types and protocols, ensuring your network has around-the-clock protection from internal and external attacks and application vulnerabilities. Your SonicWALL solution also provides the tools to enforce Internet use policies and control internal access to inappropriate, unproductive and potentially illegal web content with comprehensive content filtering. Finally, this powerful services bundle also includes around-the-clock technical support, crucial firmware updates and hardware replacement.